On a recent international trip, I watched a demo of a “heat map” generated by cameras and sensors that tracked conference attendees around a large, crowded hall. The map showed where they clustered — indicating which displays inside the conference hall were drawing the most interest. That was helpful to conference organizers, who used the display to draw participants to signature sponsors for the event. It was also helpful to security professionals, who could spot bottlenecks before they formed and ensure that exits were kept clear and attendees could move easily around the hall. And most of all, it was helpful to the attendees, who, without really knowing it, had a seamless experience. This was just one example of how digital technologies far beyond simple web apps and location services can be deployed to improve the customer (or in this case the conference attendees’) experience. Every company that considers itself a digital organization (which is to say, every company) needs to manage that balance between customers’ desire for convenience and their trust in the experience they have with the retailer. I’ve learned from my years of experience in digital marketing that digital ecosystems, when fully embraced, can create new products, new distribution channels, and new revenue streams. But they also enable something even more important: they allow retailers to meet customers at their moments of intent, when decisions are being made or preferences are being shaped. That’s the kind of digital dialogue that translates into customer loyalty. What’s equally exciting is to see these digital ecosystems co-develop solutions in the spirit of collaborative creation with retailers, consumers and technical experts. Our center of excellence in Portugal is great example of how organizations are joining together and collaborating on ideas to apply and combine these technologies and real-time experiences through Hitachi Smart Spaces and Virtual Intelligence solution. The interactive experience begins the minute they walk in the door, but the personal touch relationship continues. 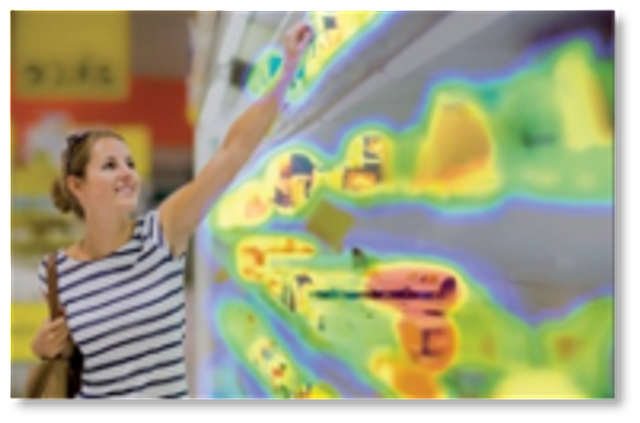 From the retailers’ perspective, real-time video can help maximize security and safety through facial recognition and alerts when objects are missing. From a consumer perspective, customer preferences are better understood, and VIP customers can be recognized. With recent research conducted we recognize the consumer path to purchase includes digital and physical brand interactions. The digital omni-channel is a chance to inform, engage, and acquire new consumers. When you consider that 40% of consumers won’t go into a store unless they can go online first; over 80% have been online at least two days before entering a shop; a brand’s website plays an important role for 69% of purchases; and 49% of purchases are heavily influenced by digital, now is the time for retailers to embrace technology innovation to drive profitable growth. Technology can give you the actionable, real-time insights you need to make smart, proactive decisions. It can also help you eliminate silos across the organization, encouraging IT, e-commerce, sales and supply chain operations to work together more efficiently and in true collaboration. So, during this holiday season, as you are in the giving spirit and purchasing items on your list for your family and friends, know that your experience is valued by the retailer, and that in the hustle and bustle, your loyalty and digital experience is a gift that keeps on giving.